I was at Pier One yesterday and they have a variety of sizes of round glass tops. I was thinking you could easily convert this to a table, too. Great idea! Yes, it could easily be converted into a cool glass-top table. It was super-easy to do, and the birds are loving it — we’ve seen cardinals, orioles, blue jays, and a few others at the feeder. Unfortunately, the squirrels love it, too, but not much we can do about that! I cannot wait to make this. I am also going to modify it by giving the feeder a little lift with a miniature upside down pot. That way the water never gets in the food. 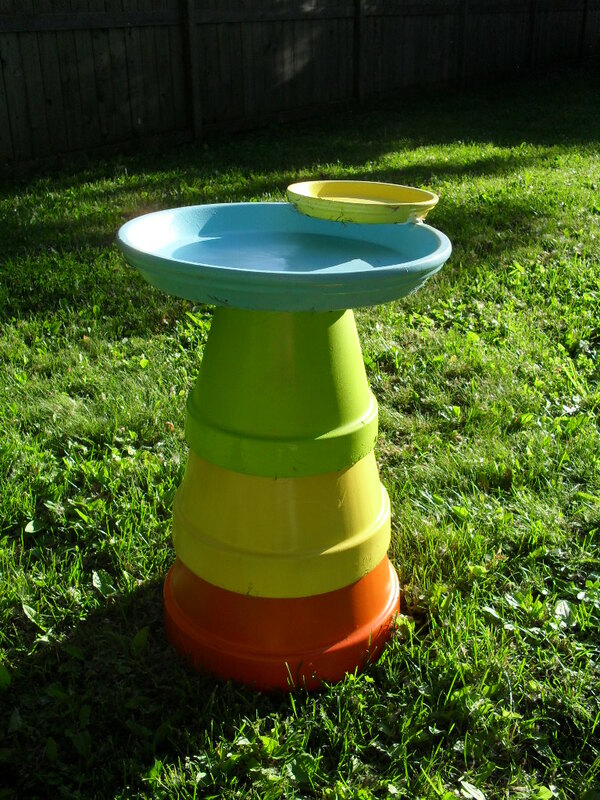 Absolutely wonderful……….I have lots of pots stacked in my back yard, & always have odds & ends of spray paint! Just need that caulk! Talk about a great project for about $5! Thanks for sharing!! I love this idea. I have been wanting to get Bird bath myself for a long time but hesitant to spend 100+ for the ones I like. Can you please tell me where you got your supplies from? Thank you. Shraddha — All of the materials were very easily found at my local Home Depot. I even got the spray paint that I used there, although if you wanted something a little more fancy, I’m sure any Michael’s or Hobby Lobby would have an assortment of craft specialty paints. Good Luck! Since those spray paints are not truly water proof but water resistant do you have a way of sealing the bowl of the birdbath to ensure it will not peel? I was thinking maybe marine varnish might work. I used a sealant of some kind (it’s been a while, and I don’t recall exactly what it was), but I would think that marine varnish would probably provide an even better sealant than what I used. 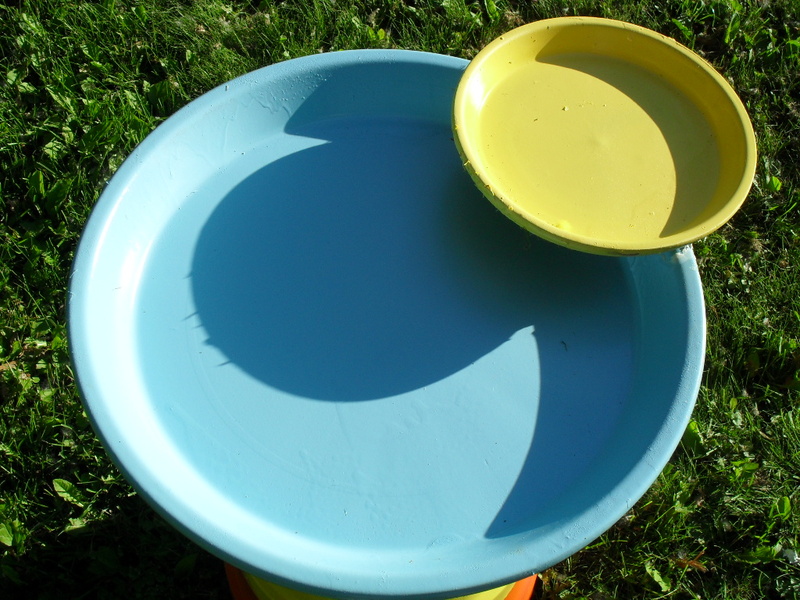 Did you have to do anything to the “bowl” to keep the water from soaking into the clay pot? Other than a sealer after I painted it, Linda, no, I didn’t.